1. 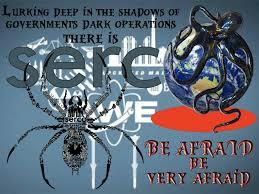 Abel Danger (AD) claims that Serco has equipped its shareholders and 8(a) protégé companies with Defense Ammunition Center servers to prepare for an armed insurrection funded by a supranational government of world bankers and feminist elites. 2. AD claims that Serco servers link ISIS friends including the late Jihadi John with USIS foes including the murderers of the late Colonel Westhusing, so U.S. President Barack Obama never knows whether to stand up or to stand down during terrorist attacks. 3. AD claims that aides in the UK Cabinet Office used Zulu time signals on the Serco servers to synchronize Hillary Clinton’s State Department pigs as they switched lipstick during the 9/11/12 Benghazi digital fires attacks falsely attributed to ISIS crisis actors. 4. 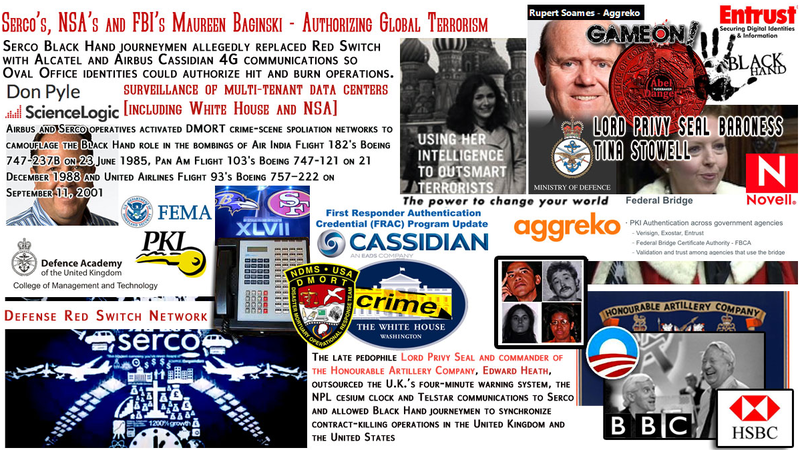 United States Marine Field McConnell offers to show Donald Trump how to neutralize the USIS insurrection and bring Clinton’s lipstick-switching pigs to justice for their role in the murders of U.S. Ambassador J. Christopher Stevens and U.S. Foreign Service Information Management Officer Sean Smith, CIA contractors Tyrone S. Woods and Glen Doherty during the 2012 Battle of Benghazi. Hillary Clinton – What difference does it make? White’s Club death-bet bookmaker service dates back to 1743 only the technology to spot fix the Zulu time of victim death has changed. “The 2012 Benghazi attack took place on the evening of September 11, 2012, when Islamic militants attacked the American diplomatic compound in Benghazi, Libya, killing U.S. Ambassador J. Christopher Stevens and U.S. Foreign Service Information Management Officer Sean Smith. Stevens was the first U.S. Ambassador killed in the line of duty since 1979. The attack has also been referred to as the Battle of Benghazi. Several hours later, a second assault targeted a different compound about one mile away, killing CIA contractors Tyrone S. Woods and Glen Doherty. Ten others were also injured in the attacks. Many Libyans condemned the attacks and praised the late ambassador. They staged public demonstrations condemning the militias (formed during the2011 civil war to oppose leader Colonel Muammar Gaddafi) that were suspected of the attacks. The United States immediately increased security worldwide at diplomatic and military facilities and began investigating the Benghazi attack. In the aftermath of the attack, State Department officials were criticized for denying requests for additional security at the consulate prior to the attack. In her role as Secretary of State, Hillary Clinton subsequently took responsibility for the security lapses. On August 6, 2013, it was reported that the U.S. had filed criminal charges against several individuals, including militia leader Ahmed Abu Khattala, for alleged involvement in the attacks. Khattala has been described by Libyan and U.S. officials as the Benghazi leader of Ansar al-Sharia, which was listed in January 2014 by the U.S. Department of State as a terrorist organization. On the weekend of June 14, 2014, U.S. Army special operations forces, in coordination with the FBI, captured Khattala in Libya. Serious questions remain concerning Col. Westhusing’s “suicide” in Iraq. Army’s chief ethics expert was murdered, according to Carlyle Group insider. According an informed source within The Carlyle Group business consortium, Col. Ted Westhusing, the Army’s top military ethicist and professor at West Point, did not commit suicide in a Baghdad trailer in June 2005 as was widely reported in the mainstream media five months later. At the time of his death, Westhusing was investigating contract violations and human rights abuses by US Investigations Services (USIS), formerly a federal agency, the Office of Federal Investigations (OFI), which operated under the Office of Personnel Management (OPM). With the Iraq invasion, USIS obtained lucrative Pentagon private security contracts in Iraq. At a 2004 job fair in Falls Church, Virginia, USIS was advertising for “interrogators” and “protection specialists” for “overseas assignments.” While he was in Iraq training Iraqi police and overseeing the USIS contract to train police as part of the Pentagon’s Civilian Police Assistance Training Team, Westhusing received an anonymous letter that reported USIS’s Private Services Division (PSD) was engaged in fraudulent activities in Iraq, including over-billing the government. In addition, the letter reported that USIS security personnel had murdered innocent Iraqis. After demanding answers from USIS, Westhusing reported the problems up the chain of command. After an “investigation,” the Army found no evidence of wrongdoing by USIS. That decision signed Col. Westhusing’s death sentence. USIS and Carlyle have powerful allies in the administration, including Defense Secretary Donald Rumsfeld, the Princeton roommate of Carlyle Chairman Emeritus and former Defense Secretary Frank Carlucci. Former President George H. W. Bush, former Secretary of State James Baker, and former British Prime Minister John Major are Carlyle international advisers. George W. Bush was formerly employed by a Carlyle subsidiary and the Bin Laden business cartel was a one-time investor in the firm. Westhusing, who, according to friends and colleagues, showed no signs of depression, left a suicide note the Army concluded was in his handwriting. However, Westhusing’s family and friends have thrown cold water on the Army’s investigation. WMR can report that based on information obtained from Carlyle insiders, Col. Westhusing’s death was not caused by suicide. The fact that Westhusing was investigating one of the most politically and financially powerful firms in the world resulted in higher-ups wanting him out of the way. According to the Los Angeles Times, all of the witnesses who claimed Westhusing shot himself were USIS employees. In addition, a USIS manager interfered with the crime scene, including handling Westhusing’s service revolver. The USIS manager was not tested for gunpowder residue on his hands. Westhusing’s investigation threatened to unearth a network of fraudsters looting the US Treasury that included the Bush family and some of their closest financial partners. After Westhusing’s murder, USIS management sent a vaguely-worded memo to employees about how to respond to derogatory information in the media or rumors about USIS. Management’s attention, described as “psychotic” in nature, was on USIS’s upcoming IPO (initial public offering), according to a well-placed source. Published time: 11 Aug, 2016 10:11 © Dado Ruvic / Reuters Russia’s Federal Security Service has uncovered and closed an internet community recruiting fighters for Islamic State and propagating terrorism on the web. It also seized weapons and explosives from the suspects during searches in three Russian regions. The FSB’s center for public communications reported on Thursday that the agency and Russia’s Interior Ministry jointly liquidated the cells of an internet community called “The Guide for Joining the Islamic State” in the Tyumen, Chelyabinsk and Sverdlovsk regions. The community members are suspected of spreading terrorist propaganda and collecting funds for the banned Islamic State terrorist group (IS, formerly ISIS/ISIL), as well as recruiting new fighters and helping them reach terrorist bases abroad. READ MORE: FSB busts ISIS-linked cell with explosives planning terror attack in southern Russia. Security services seized three pistols, four hand grenades, plastic explosives and TNT, as well as detonators for them, during searches conducted in 27 locations. They also confiscated a large cache of extremist literature and videos. Criminal cases have been launched to investigate the head of the terrorist cell and three of its members who are suspected of organizing a terrorist group and participating in one – crimes punishable by five to ten years imprisonment, as well as large fines. According to the FSB, the total number of members in the “The Guide for Joining the Islamic State” community based in the Russian Federation, Central Asian Nations, the Middle East, and North Africa could be as high as 100,000. The community has dozens of moderators who use encryption software and internet anonymizers to conceal their identities, the agency’s press service said. “The List of Adrian Messenger is a 1963 mystery film about a retired British intelligence officer (George C. Scott) investigating a series of apparently unrelated deaths. It was directed by John Huston from a screenplay by Anthony Veiller, based on the 1959 novel of the same title by Philip MacDonald. .. A writer named Adrian Messenger (John Merivale) believes a series of apparently unrelated “accidental” deaths are actually linked murders. He asks his friend Anthony Gethryn (George C. Scott), recently retired from MI5, to help clear up the mystery. However, Messenger’s plane is bombed while he is en route to collect evidence to confirm his suspicions and, with his dying breath, he tries to tell a fellow passenger the key to the mystery. The passenger survives and turns out to be Raoul Le Borg (Jacques Roux), Gethryn’s old World War II counterpart in the French Resistance. They join forces to investigate Messenger’s list of names, and decode Messenger’s final cryptic words. They establish that all on the list were together in a prisoner of war camp in Burma, where a Canadian sergeant, George Brougham, betrayed his fellow prisoners, foiling their escape attempt. Each has a reason to kill Brougham. It evolves that Brougham is their killer, but why? They deduce that he is about to come into prominence and cannot risk being recognised. Gethryn and Le Borg establish that he stands in line to an inheritance of the Bruttenholm family, landed gentry who are friends of Gethryn and the late Messenger, and who avidly engage in fox hunting. Having disposed of all possible witnesses to his wartime treachery, Brougham (Kirk Douglas) appears at a Bruttenholm estate fox hunt and introduces himself as a member of the family (he has previously been seen only in disguise). It then becomes clear to the visiting Gethryn and Le Borg that Brougham’s next victim is to be the young heir, Derek. In an attempt to divert Brougham, Gethryn makes known his investigation of Messenger’s list, calculating to set himself up as the next victim. After conducting a search for principals and owners of Base One Technologies, Ltd., we were able to find 2 owners and/or executives. Their information is listed below. This file was last updated on May 14, 2013. “[White’s Club member] Rupert Christopher Soames OBE (born 18 May 1959) is a British businessman, CEO of the outsourcing [and long range death-betting bookmaker] company Serco. Soames was born in Croydon, Surrey, to Lord and Lady Soames. He is a grandson of Sir Winston Churchill, a nephew of the former Defence Secretary Duncan Sandys and Diana Churchill; the journalist Randolph Churchill and the actress and dancer Sarah Churchill and a great-nephew of the founders of the Scout movement, Robert Baden-Powell and Olave Baden-Powell. His brother is the Conservative MP Sir Nicholas Soames.